​A wonderful evening of the best in Spanish music and song. Also features some of your favourite English music performed in Spanish. A truly unique event not to be missed. Argentinian duo, Bohemia Viva, will be back at Luna Lounge on March 19th with their incredible new show, The Sound Garden. 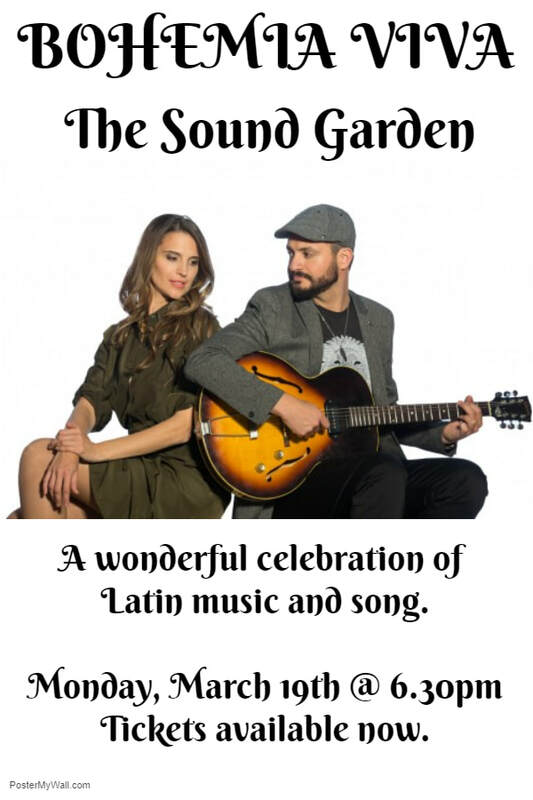 Luis and Andrea will be performing a delightful selection of latin music as well as some of your favourite English songs but performed in Spanish. This is a truly wonderful event for music lovers and will leave you breathless. Their beautiful voices harmonise to perfection as they take you on a musical journey throughout the Americas. Tickets for this event will sell fast so don't delay. Get yours today! !